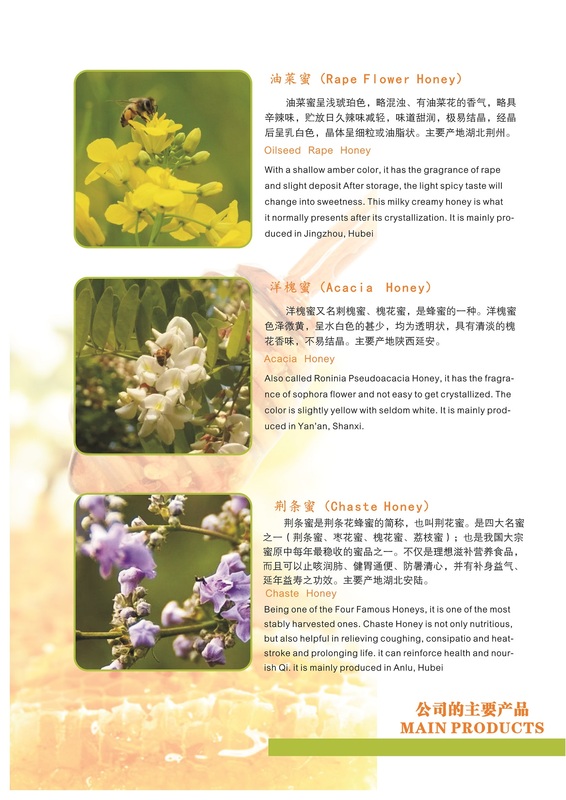 Company profiles: Hubei Shennong Health Products Co., Ltd. was founded in 1996. Its headquarters is located in Huangjin industtry garden in Wuhan, China. 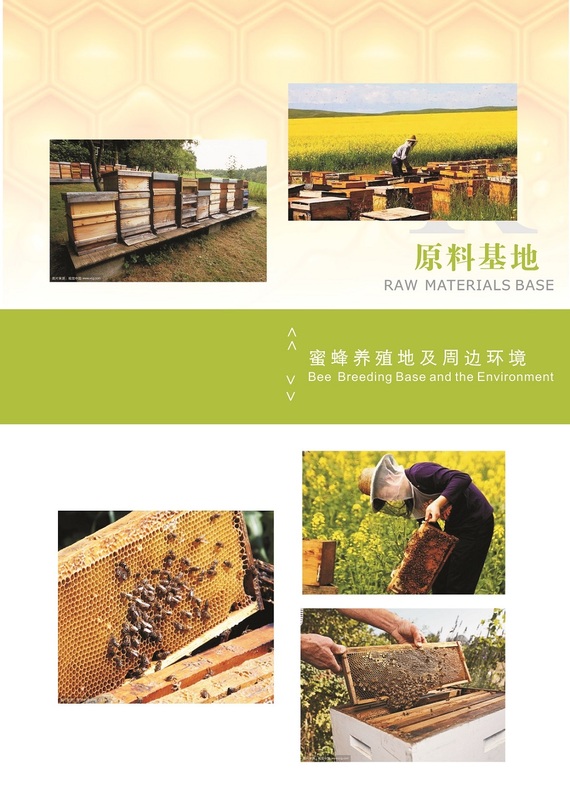 The company's main products are: honey, fresh royal jelly, lyophilized royal jelly, bee pollen, propolis, beeswax ,etc., as well as functional sugar products. 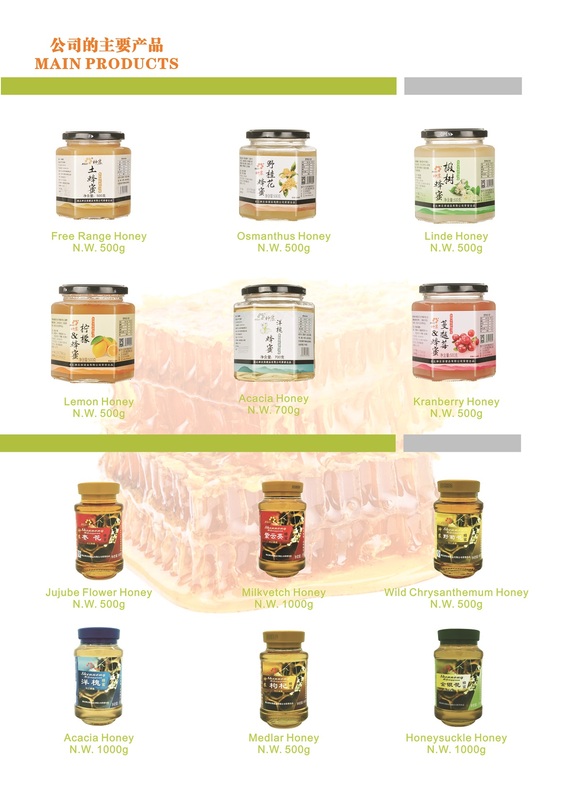 The company covers an area of 50,600 square meters, a construction area of 40,000 square meters, with fixed assets of more than 90 million yuan, domestic honey production lines 2, export honey production lines 1, functional sugar production lines 2. We are committed to "healthy, sweet cause" with professionalism, functionalization and systematization. After twenty years of hard work and numerous baptism in the market, we have been growing steadily at a steady pace. 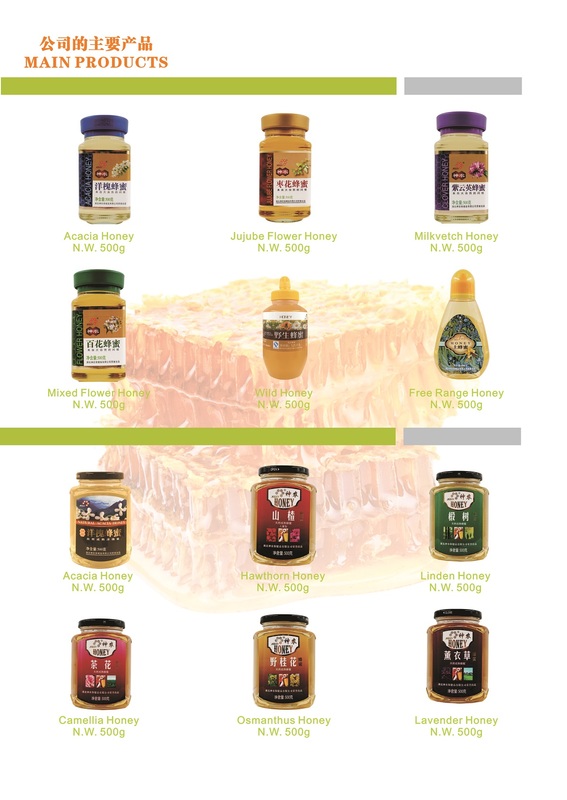 Become a well-known brand of honey products in China, and trust products of consumers. Under the aim “abiding by the contract , Keeping our promise, equality and mutual benefit and developments”, we now have business connections with more than 20 countries and areas. We honestly thank those who have supported and helped us and shall try our best to provide better cooperation to foreign enterprises so as to develop and benefit together. Thank you for your closely cooperation and business relations with us in the near future. In 2007, the first batch of QS (quality and safety) certification and obtain industrial product production license. In 2007, the ISO9001 quality management system certificate. In 2016, the first batch of SC production licenses and obtained SC certificate. TRACEABILITY SYSTEM All honey on the table can be traced back to the hive Since 1997, we set up a complete traceable system, through which each bottle of honey into customer’s hands can be traced back to the corresponding nectar place, beekeepers and its specific hives. The production department has improved the management system about purchasing and testing raw honey, and set up a database for it according to the batch, beekeepers and quality. In order to ensure the traceability of raw material, this database explicitly records the origin of each raw honey, its quantity, quality status, beekeeping farm leader, beekeepers, purchasing date and so on. Such a comprehensive management system makes it possible that we have been exporting honey abroad for the last ten years and will have a greater prospect in the future. The system to record and encode beekeepers: . Set up a four-step tracking system as regards company name/sites/beekeepers/hives .Strengthen training to improve techniques .Obtain beekeeper information (including disease, medication, transfer of farm and so on) Traceability for positive raw material: .The approach to deal with raw honey tested positive of antibiotics: .Inform beekeepers and assist them to analyze factors which cause the positive raw material. .Mark unqualified raw honey and its corresponding beekeepers and store it separately. .Return the unqualified raw honey .If beekeepers use medicine such as antibiotics against the standard, and result, they will be deprived of the qualification and criticized notified for general information Organize beekeepers training: .Training for beekeeping management, disease control and prevention, medication methods, collecting honey, storing, and recording and how to use label .Summarizing quality of bee products at the end of year .Organize beekeepers to train about the beekeeping skill training by ciq .Every base leader should train beekeeper by batch at the end of year or the beginning of the next year. Supervision and management for beekeeping: .Beekeepers record .Beekeeper tracking service .Beekeeping survey .The regulation of beekeepers. Monitoring and test system for antibiotics residue in raw material: .Sampling raw material at base farm .Sampling delivery raw material and test mixed samples .Inspector make a record according to raw material lot no. Management for Raw honey labeling: .Hive label (including beekeeper codes) .Drum label for raw honey (including beekeeper codes) .storage label (including base farm number, beekeeper number, hive code and date, etc.) .check to ensure all labels are placed firm during the whole processing.